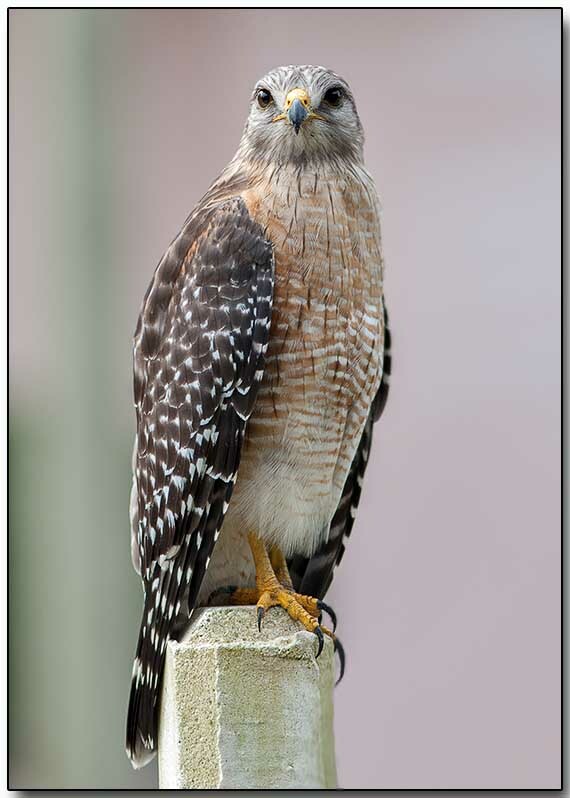 Red-shouldered hawks are forest raptors. In the East, they live in bottomland hardwood stands, flooded deciduous swamps, and upland mixed deciduous–conifer forests. They tend to live in stands with an open subcanopy, which makes it easier for them to hunt. They are not exclusively birds of deep forest, though; one can find red-shouldered hawks in some suburban areas where houses or other buildings are mixed into woodlands. In the West, they live in riparian and oak woodlands, and also in eucalyptus groves and some residential areas.